As days are getting warmer (yay! ), I feel like it is high time I shared a recipe I've been making all winter long. I can't really tell how I first heard about matcha. But I do remember getting a little addicted when I realized that a café I walked by every day last autumn made the best matcha latte I'd ever tasted! I do not drink coffee, so my go-to drink at cafés when meeting with friends (or, let's be honest just getting some work done and people-watching) had mainly been chai teas. But as soon as I tasted my first matcha (with almond milk) I was hooked! 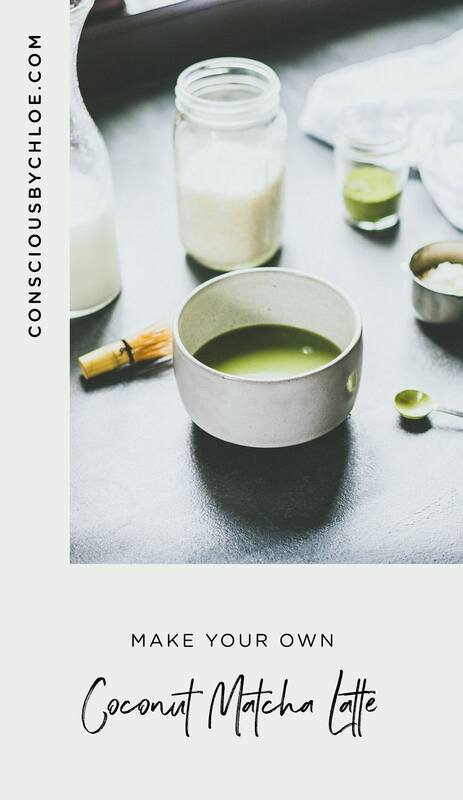 I tried to learn a little more about this green powder and stumbled upon this book, which inspired me for the following recipe. Reading about the Japanese ritual that surrounds the preparation of matcha reminded me of the tea ceremonies I attended when I lived in China. 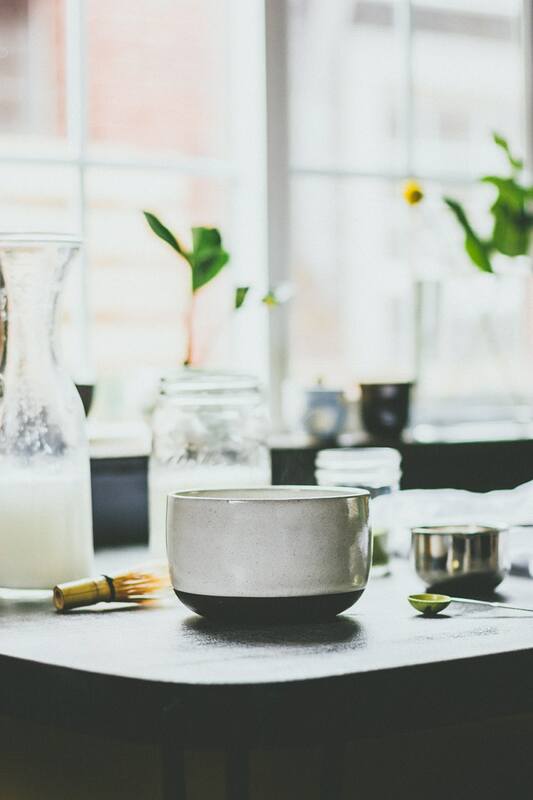 I have to admit that I tend to skip a couple steps mentioned in some recipes (heat the bowl, wet the whisk, sift the matcha powder) but I do sometimes take the time to prepare a more elaborate version on slower mornings, starting by making my own nut milk. 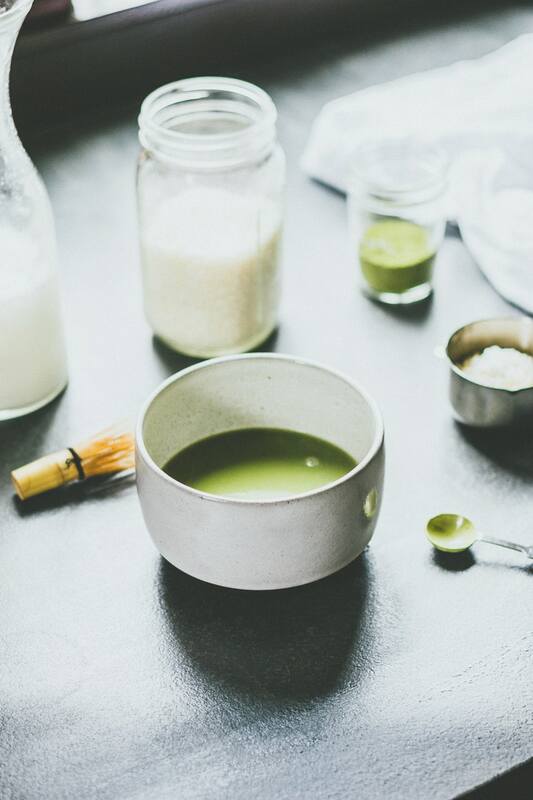 So here is my Coconut Milk Matcha Latte recipe, which could be named the lazy interpretation of a real matcha latte (read the recipe notes first). I hope you'll like it as much as I do. 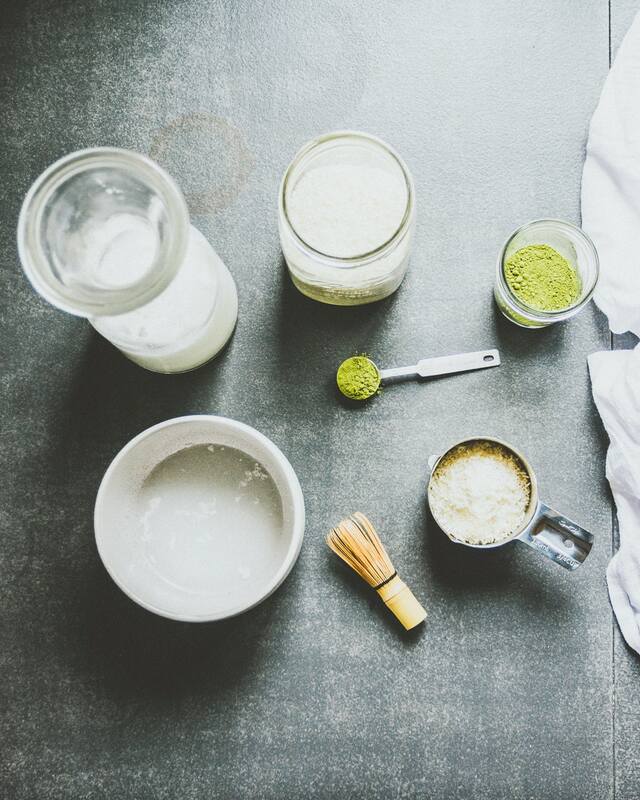 Matcha is a green tea powder packed with chlorophyll and antioxidants. It's a great alternative to coffee to boost your metabolism while keeping you calm. Boil water and pour some into a bowl to warm it. Set aside. 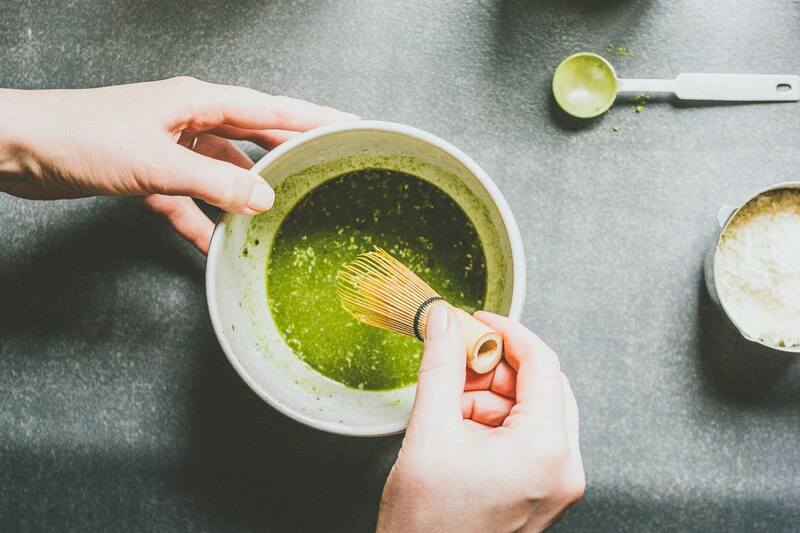 Sift the matcha though a fine-mesh seeve into a small bowl (optional). 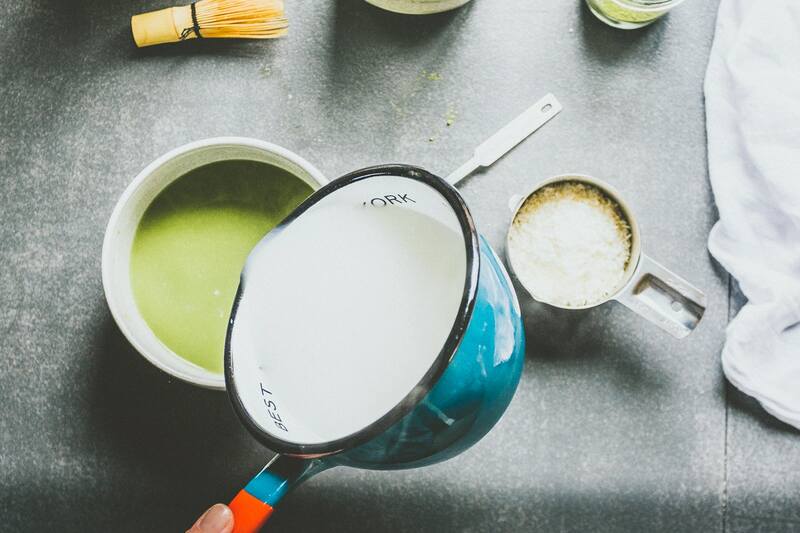 Add 2 tablespoons of the hot water and stir, or whisk with a (bamboo) whisk until no lumps remain. Stir in the remaining water and sweetener (optional) until dissolved. Pour it into the warmed bowl from step 1. Slowly pour the (foamy) milk into the bowl. On most days, I tend to skip a couple steps (bowl warming, matcha sifting, milk frothing) because I'm lazy, but I highly recommend trying the whole "ceremony" at least once, just to taste the difference. Now I need to take a few barista classes in order to make beautiful patterns in my cups. Is there a school? OK, I'm gonna look for tutorials online, get a frother and show you my progress in a few weeks. Deal?